Programming is one of the most valuable skills that anyone can choose to learn in today’s world. While the resources for anyone who wants to learn to programme are now available for free, there are a number of things you should do in order to make your learning more efficient. When you first begin learning to code, the approach you take from the beginning will have a considerable impact on how quickly you progress. As you begin to learn increasingly advanced coding concepts, you will begin to seriously regret allowing bad habits to form while you have been learning. When you are deciding which resource to use to begin learning, you should look to the most reputable sources. Publishers like O’Reily have an excellent reputation when it comes to publishing print books that teach coding. If you prefer to learn online, look to websites like Code Academy which allow you to try out different programming languages before you commit to a particular one. Make sure to thoroughly research your options as you want to learn using methods which encourage best practice from the very beginning. This is one of the most important things you can do in order to make sure that the lessons you do learn stick with you. Whenever you learn a new skill or concept, look for a way that you can apply this lesson. No matter how simple or complex the lesson that you have just learned, if you can find a way to incorporate it into a personal project, you stand a much better chance of remembering and fully understanding what you have learned. Making sure that you take the time to stop and implement knowledge as you gain it will also prevent you from getting ahead of yourself and trying to progress before you are ready. If you rush into things and don’t take the time to absorb what you’ve learned before moving onto the next lesson, you will end up forgetting things just as fast as you can learn them. Coding on paper might seem like a waste of time, but if you are looking to ultimately make money from your coding, you will likely have to demonstrate your skills to a potential employer. Having a coder write their code by hand is widely accepted as being the best way of testing their skills and separating the best coders from the rest of the pack. In all areas of life, we tend to learn best when we are learning from our mistakes. As a programmer, it is inevitable that you will be faced with innumerable errors and bugs, no matter how experienced you are. When errors arise, learning how to respond to them the right way is important for any coder. If you are presented with an error message, something like ‘C Compiler Cc is Not Found’, then searching on Google will usually reveal the solution. 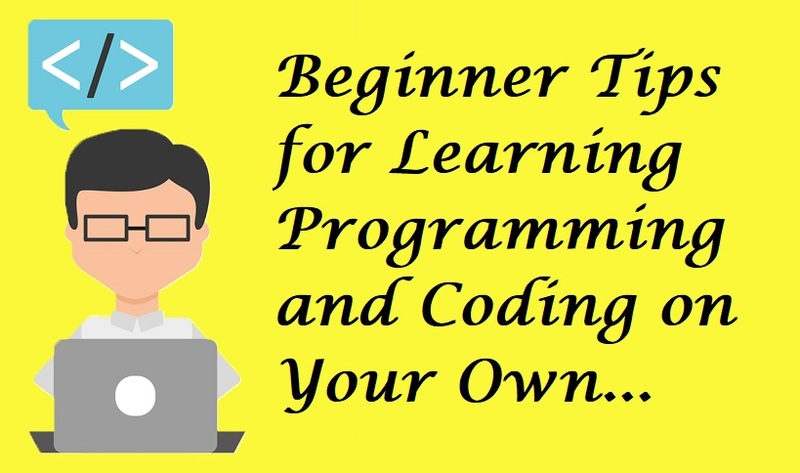 However, you should take some time to try and figure things out for yourself first as this is how you will learn the most important lessons as a coder. Learning to code takes time, but it is a worthwhile investment. The above tips will help you to make the most of the time you spend learning to code and will minimize the amount of time that could have been better spent.